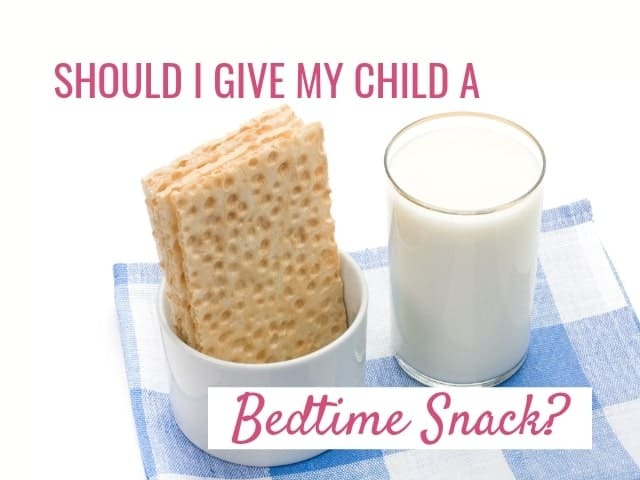 Bedtime snacking is often one of the most popular food topics in parenting circles. Is it necessary, how big should be a snack and how to make bedtime snacks more nutritious? Whenever I hear a snack question, my first reaction is to pinpoint where snacking can become a problem. 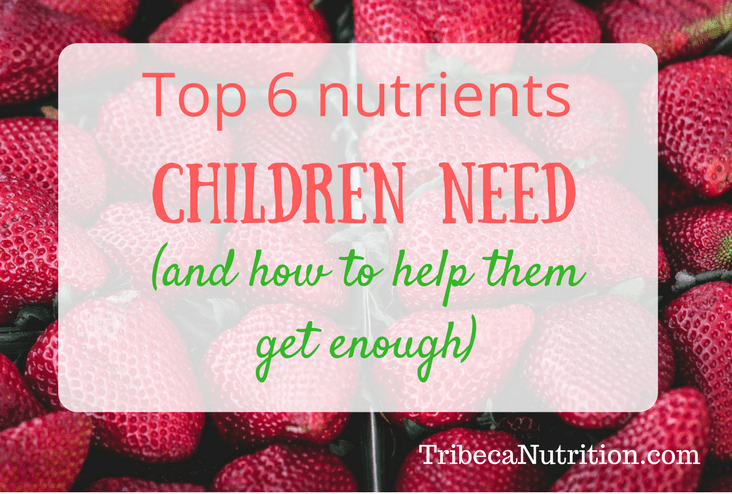 In case of a bedtime snack, the most common issue I see is that it may easily replace dinner. But before I dive deeper into the do’s and dont’s of bedtime snacking, here is some important background information on snacks in general. Snacks are important opportunities to add calories and nutrition to a child’s diet. Snacks do not have to be special types of food. In fact, you may find it refreshing and nutritionally more sound to start serving mini balanced meals instead. You can get dozens of snack ideas here. Parents are in charge of snacks and need to plan them in advance, always including 1-2 foods the child is comfortable eating when hungry. In other words, snacks are not a reaction to “Mom, I want a snack! Can I have xyz?”, but more of a proactive approach: “Jonny, your snack is on the table. Please go wash your hands”. Preschoolers typically need a mid-morning and mid-afternoon snack. Older kids can wait for 3-4 hours between eating opportunities and do not need a mid-morning snack anymore. More on meal and snack routines here. If snacks turn into a short order substitute for dinner. Example: a child does not like what is offered and asks for a snack a few minutes after the dinner table is cleared. When a bedtime snack is something that a child really likes so he is happy to wait for it instead of eating his dinner. 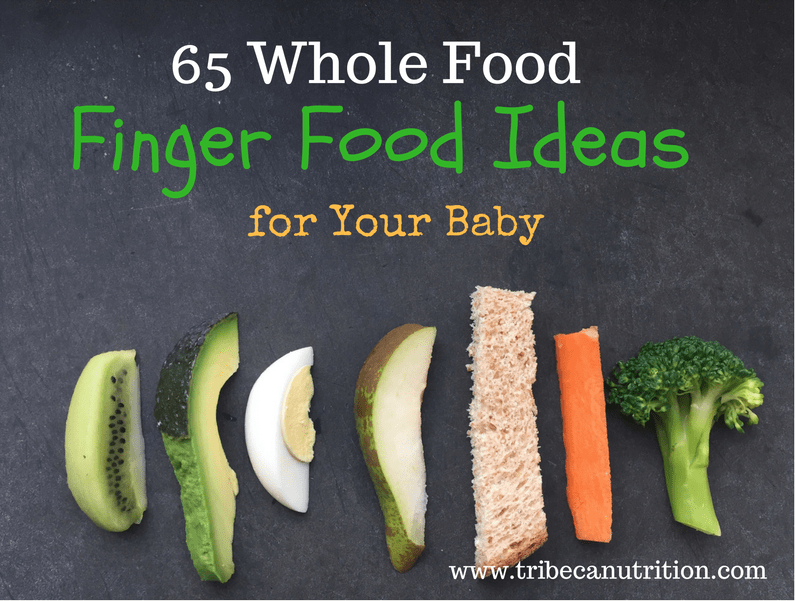 When dinners mostly consist of food that is challenging for the child. Read more about how to plan family meals for picky eaters here. 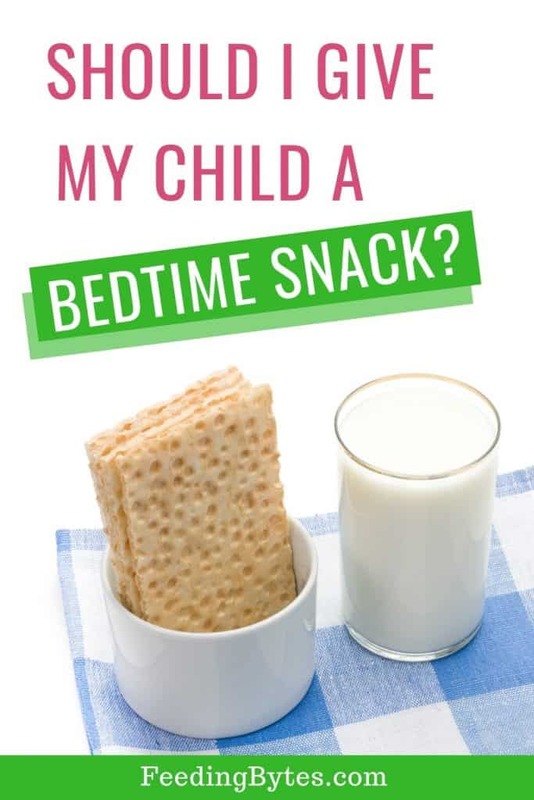 NOTE: When we are worried about the child’s calories, nutrition, and bedtime sleep, we are more inclined to offer a “snacky” alternative like yogurt or cookie the child refuses dinner. If you feel that growth, sleep, and nutrition may be a problem, it may be time to bring this up with your doctor, dietitian or a sleep consultant. the child is at his hungriest right after nursery or school, eats a big meal in the afternoon and does not eat dinner as a result. Consider the timing. 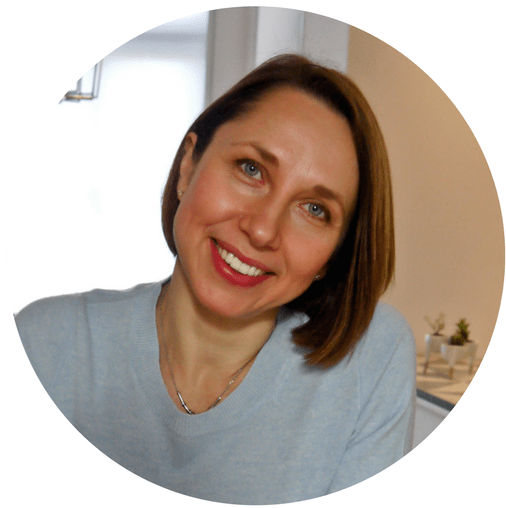 If, for example, your child eats dinner at 5.30 and goes to bed at 8, it is very reasonable to expect them to be slightly hungry before going to bed. Plan the menu. 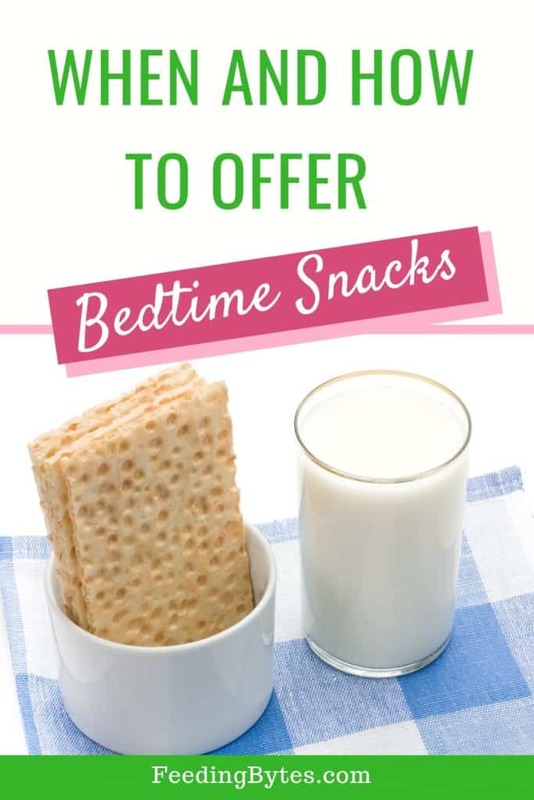 A bedtime snack may occasionally include the child’s absolute favorites but it does not have to every single day. Try to serve a balanced snack including 2-3 food groups, and 1-2 foods your child will eat when hungry. You can get lots of examples here. In other words, avoid making bedtime snack the main attraction of the evening routine. Plan the location. Seated down at a table is the best place to eat all meals and snacks. In case you were wondering, I do not think that reheating dinner leftovers is always a good idea. Reheating leftovers of a rejected meal may sound like a great way to cut on waste, but it can carry a strong punitive connotation: ” If you are *really* hungry, you will eat this!”. Research shows that negative emotions related to mealtimes affect kids’ eating and nutrition. Of course, there are exceptions, like, for example, if a child enjoyed the meal, but could not finish it and asked to save for later. In this case, it makes sense to use the leftovers. As you can see, serving bedtime snacks is not a black and white topic. 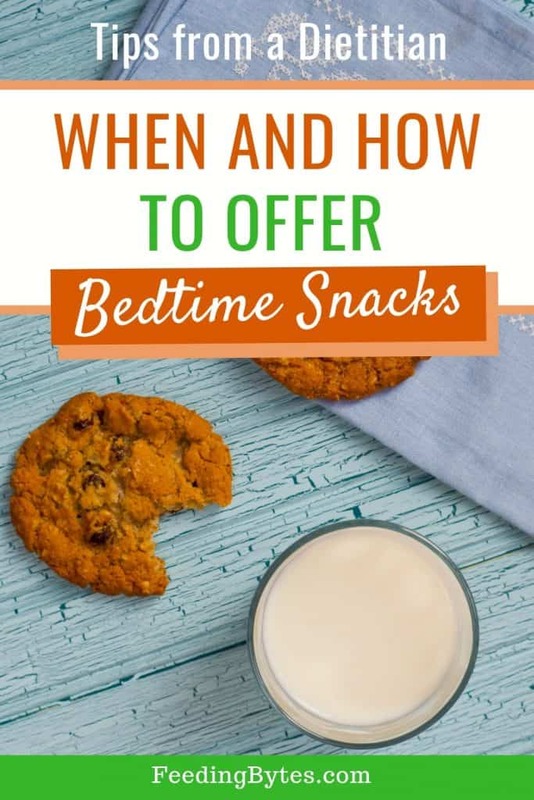 But it is possible to use bedtime snacks to help your child eat better and get more nutrition, without compromising the dinnertime experience. Tell me, are you serving your child bedtime snacks?